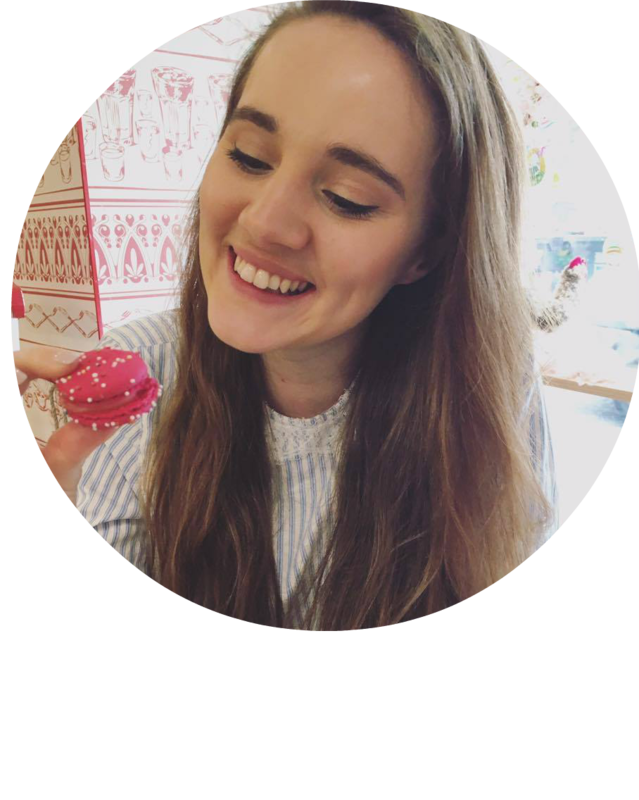 So long time no blog! The past few weeks have been pretty busy with other things not leaving too much time for exciting day trips or bloggable activities. However, it really is beginning to look a lot like Christmas here in Germany. 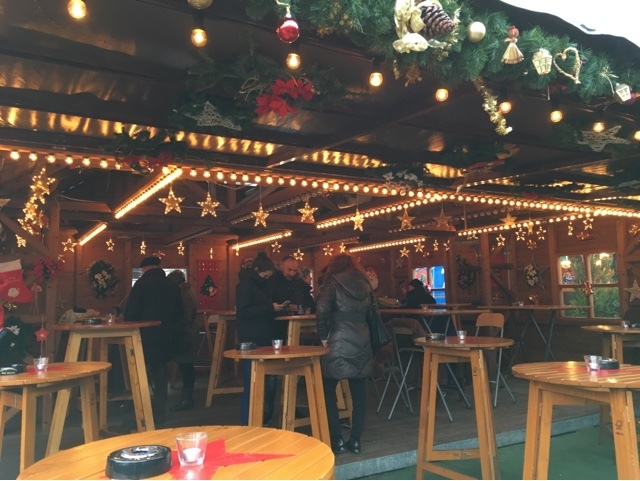 Christmas markets have been popping up everywhere and I have already checked three off my list. With Nuremberg being the home of the Christmas market it's a pretty spectacular sight. I promise I will do a proper blog post on it soon, cramming it in with this one really wouldn't do it justice in the slightest. I am actually writing this post in Starbucks because just my luck Deutsche Telekom is having a mare and we haven't had wifi in the flat for days. This would be fine if I could work out how to properly top up my phone and use the Internet on there. But sadly, Aldi-Talk still makes no sense to me. Today's post though, is about the lovely little city of Fürth, which if you have read back my blog posts you'll know I visited near the start of my time in Germany (here is the link if you wanna catch up!). If I'm being completely honest, I wasn't expecting much from the market. Fürth is lovely and all, but after visiting Nuremberg and Erlangen this weekend I didn't really see how it could be much different. You can imagine my surprise and absolute delight when we got off the Ubahn and literally stepped into Sherwood Forest circa Robin Hood time. 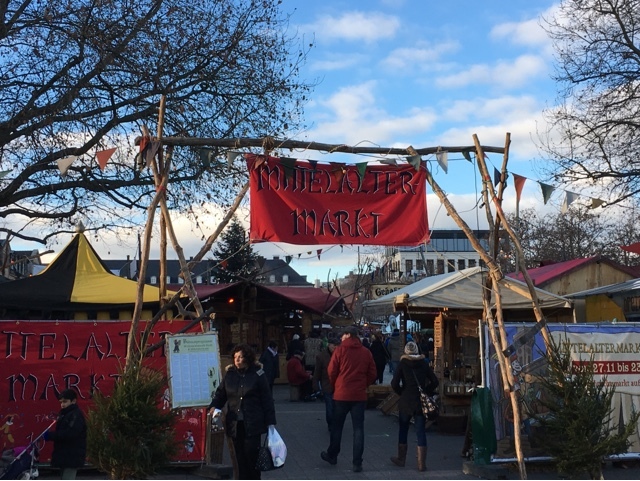 Not only did Fürth have a Christmas market, but it had a medieval market too! Walking through the medieval section of the market was truly magical. With open fires and stall holders dressed in costume, stalls more or less only sold wares that you would have actually found in the middle ages. There was a stall selling medieval clothing, a stall selling wood carvings and even a stall selling knives, armours and shields. Funnily enough I didn't do my Christmas shopping at that one... 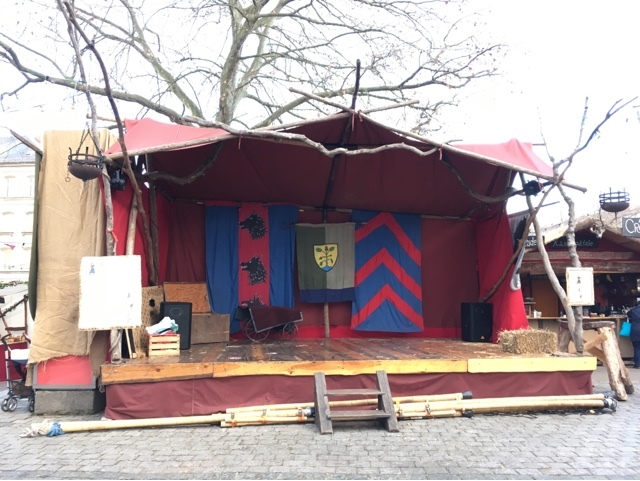 There was even a medieval stage set up with a variety of acts promised throughout the day. I'm glad we arrived in the daylight as it meant not only was it really quiet and we had plenty of space to wander around, it also meant that we got to watch the magical transformation of the market from day to night. Continuing through the charming medieval market to the Christmas market, it had all the delights that I have come to expect from a German market. 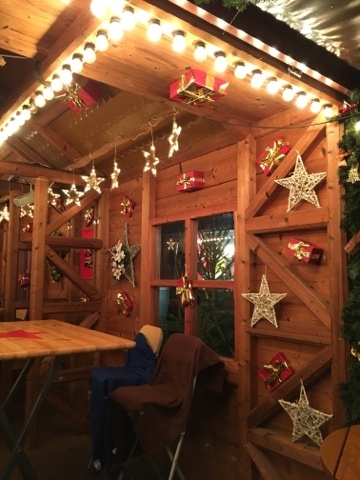 Bratwurst, Lebkuchen and Glühwein stalls all complete with adorable little huts to shelter and eat in, beautiful handmade Christmas decorations and of course thousands of twinkly lights to make the atmosphere even more special. Now, what distinguishes the Fürth Christmas market from all others that I have seen is that it had a pen of REAL LIVE ANIMALS. Little sleepy lambies and I think maybe the worlds most bored donkey were no match for the two crazy alpacas that also joined them in the pen. I'd say I went to a pretty catholic school yet I had never heard about there being alpacas present at the birth of Jesus. In the process of writing this post I did google it to check that there were indeed no alpacas present and it turns out they are often roped in to represent camels. I guess you can't really have camels at a Christmas market for obvious reasons. Their bizarre appearance was greatly appreciated and I think I've made some new best friends. Along with the alpacas, the highlight of the market had to be the incredible show that we managed to catch on the little medieval stage. Dressed in traditional medieval clothing and equipped with only a lute, a drum and their voices the duo explored medieval songs from counties across Europe. Starting In Macedonia with a love song, a fire dance awed the audience. We then moved on to a mermaid song and we even got up to dance during one of the songs! When I say got up, there was Danielle and me, a few 5-7 year olds and an old man that got roped in to some medieval circle dance. It did at least get the blood running back to my feet and was pretty hilarious. The absolute pinnacle of the show had to be that weird-silk-rope-air-acrobatics that I have always wanted to see. Constructing the set by asking a few "strong men from the audience with medium sized shoes" to help hoist some poles into the air, let's just say it did not look like the sturdiest of constructions. However it was pretty spectacular considering the stage was lit with real fire lanterns, although in the minus four degree weather I feared for the poor woman's bare feet. 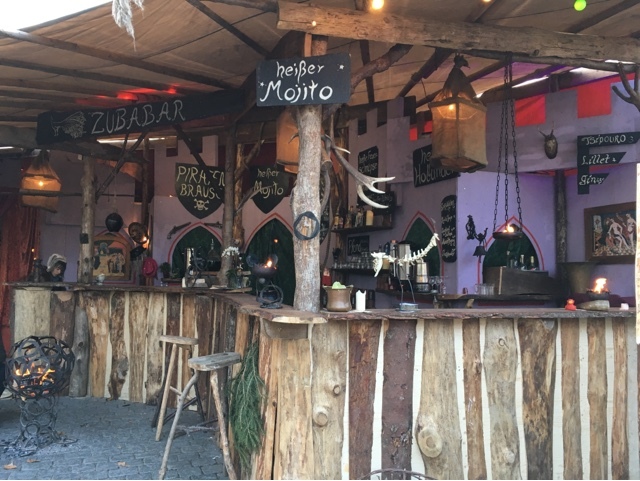 With enough time to squeeze in a mug of Glühwein, our adventure back in time was over and we hopped back on the Ubahn and headed back to Nuremberg. It truly was a magical market and although it's not the biggest nor most famous in the region I would definitely say it is worth a visit to Fürth. I've now been sitting in Starbucks for about three hours so I better end this blog post here. Expect lots more Christmas market posts coming up as there are at least three more markets on my must-see list and about a thousand more I'd quite like to see.